My weight has been a constant struggle over the past 10 years. It was a day to day battle. I tried every product, diet plan, and exercise program available and nothing ever seemed to work for me. I would lose 5 to 10 lbs and then I would gain it right back, plus some. I was constantly frustrated and depressed about my appearance and the way it made me feel inside. I lacked confidence and allowed myself to pull away from my family, friends, and activities I enjoyed. 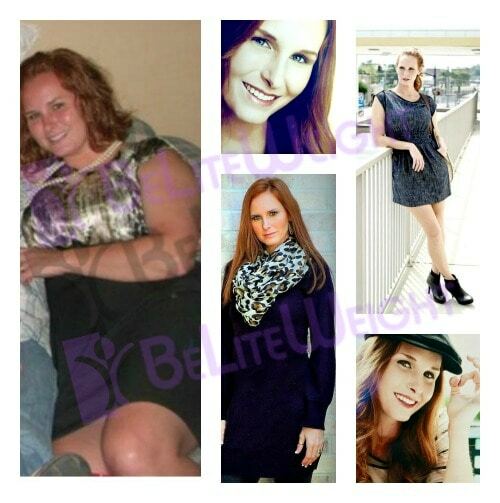 BeLiteWeight not only altered my appearance, but it completely changed my life. I actually enjoy looking in the mirror now, and sometimes can barely recognize the person starring back at me. I am beaming with confidence and energy. I feel like a teenager again and I owe it all to Dr. Elmo Armburo and his team at BeLiteWeight. The staff and facilities are amazing and a true reflection of care and sincere hospitality. My experience was wonderful and I am beyond satisfied with my results.